The matches take place in the one venue – either home or away. 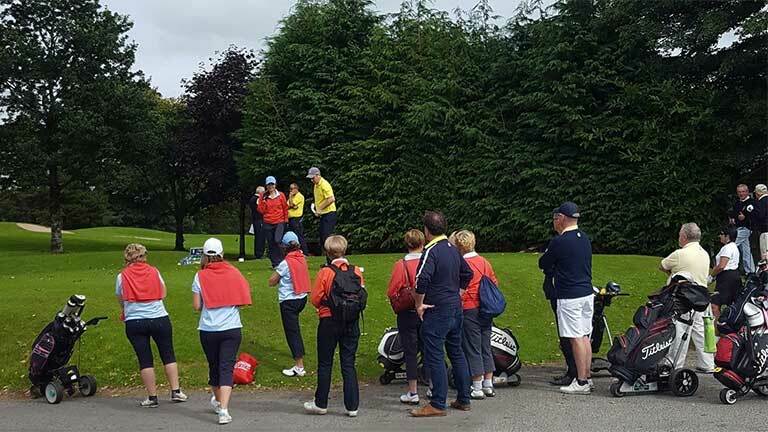 The final takes place in Baltinglass Golf Club, normally on the last Sunday in August. The handicap limit is 18 for men and 28 for women. Current holders – Woodbrook Golf Club. 32 clubs competing this year. Cahir Park and Druids Glen are through to the final that will be played on Saturday 25th August. 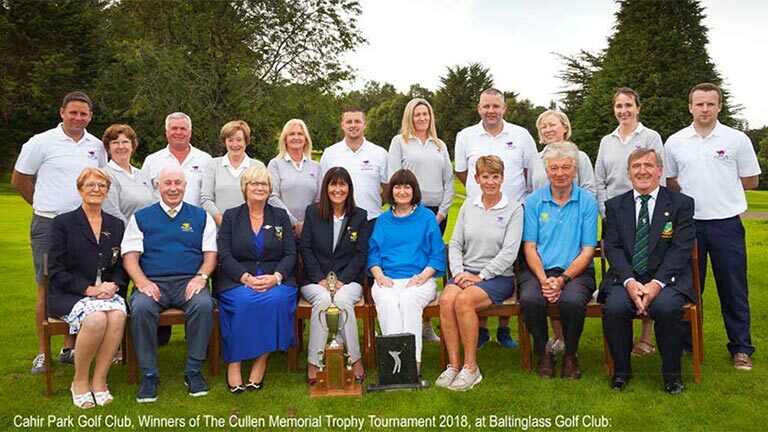 The final of the Cullen trophy was held last Sunday in Baltinglass GC between Cahir park & Druids Glen. 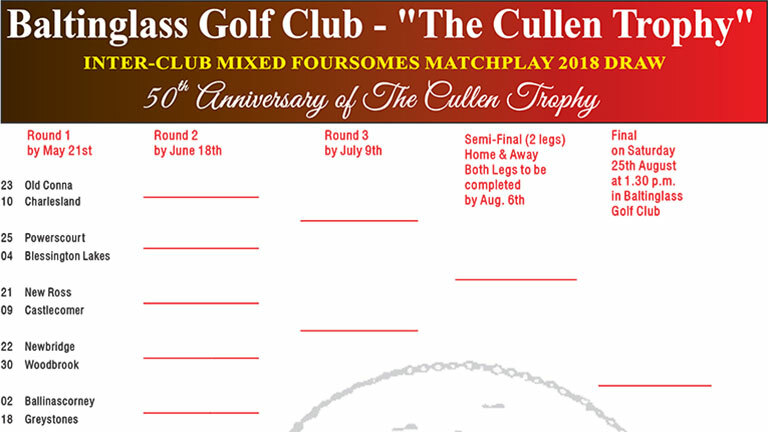 After a close match Cahir Park won the Cullen Trophy for 2018. Both teams and management were very complimentary about the great condition of the course and also were full of praise for the hospitality shown to them by Baltinglass GC a. Well done to Eoin Cooney and his team who make the Cullen such a success every year.